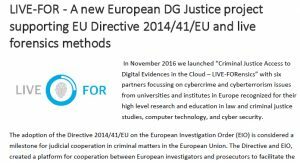 engage legal and forensic experts to answer questions and provide consultancy to the target groups about implementation issues of the EIO and the digital forensic investigations cases. The first information centre is operated by the Czech cybercrime centre of excellence (C4e). The centre can be contacted at http://c4e.cz/en/about-us/contact. The second centre is operated by the esCERT-UPC. The centre can be contacted at http://escert.upc.edu/en/live-for-info-center. the needs for education and training among the targeted group in the criminal justice and cybercrime investigation with reflection on live forensic. 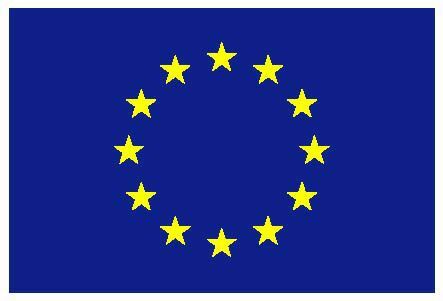 The first meeting will take place in Brussels on April 24, 2017. The second meeting will be organized in Ljubljana on May 30, 2017. Financial support for covering travel and accommodation costs is available for a limited number of participants of each of the two events. The LIVE_FOR project is featured in the January 2017 edition of the GPEN Newsletter. GPEN (Global Prosecutors E-Crime Network) is a global network of specialist e-crime prosecutors. It was launched in 2008 under the umbrella of the International Association of Prosecutors. The network assists countries to establish a safe and secure online environment for users. The Octopus Conference, took place in Brussels on 16-18 November. The conference was organized by the Council of Europe and is one of the biggest and finest platforms of exchange in cybercrime gathering experts from 80 countries, international organisations, private sector and academia. 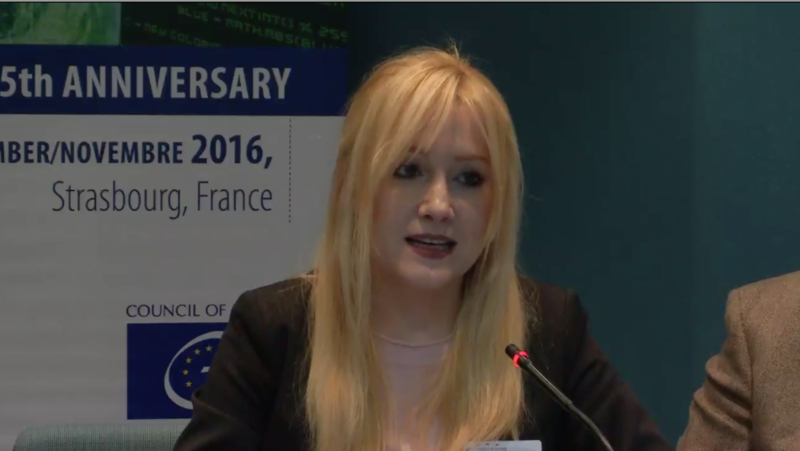 This year conference celebrate the 15th anniversary of the Convention on Cybercrime of the Council of Europe (CETS No.185), known as the Budapest Convention which is the only binding international instrument on this issue. The Budapest Convention is supplemented by a Protocol on Xenophobia and Racism committed through computer systems. The conference provides an opportunity to interface for cybercrime experts from public and private sectors as well as international and non-governmental organisations from all over the world. 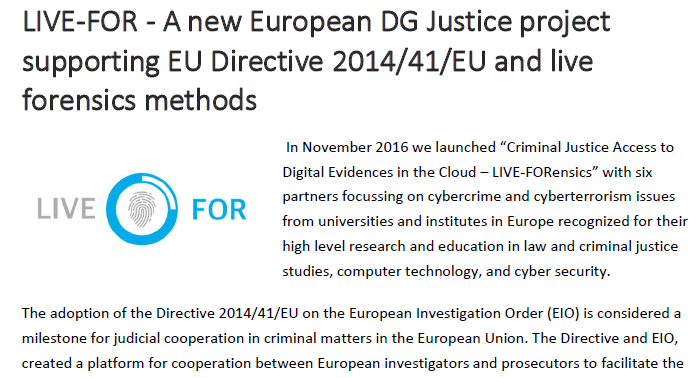 Partner of LIVE_FOR project from Spain, Ms. Carlota Urruela from UAM took part at the conference and presented a contribution addressing the collaboration between prosecutors and law enforcement officers in the fight against cybercrime. 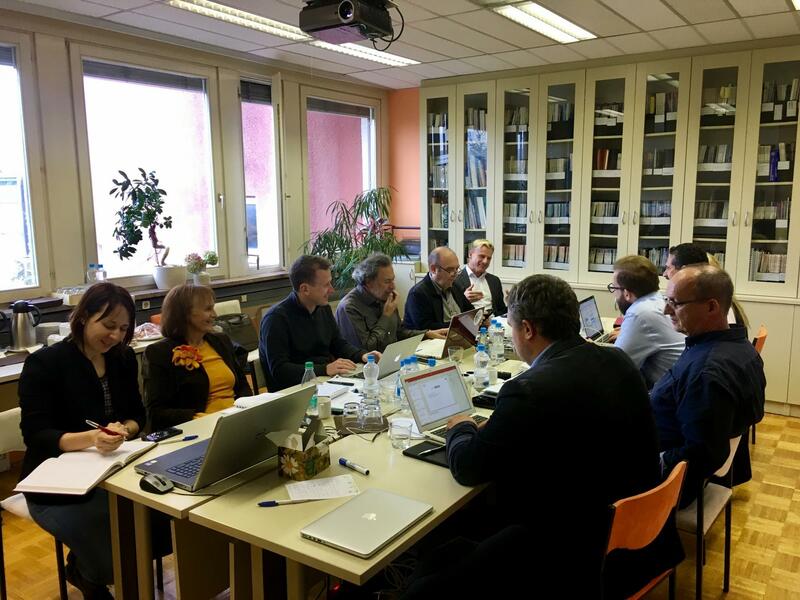 The official kick-off meeting of the LIVE_FOR project was held in Ljubljana on the 10th of November 2016. The meeting was hosted by Jozef Stefan Institute (IJS), a coordinating partner of the consortium. The interdisciplinary and multinational team consisting of the members of Jozef Stefan Institute, Vrije Universiteit Brussel, Universitat Politecnica de Catalunya, Fachhochschule Albstadt-Sigmaringen, Masaryk University and Universidad Autonoma de Madrid intensively discussed the issues of digital evidences in the cyber space. The meeting participants created a detailed agenda for the first months and drafted a methodology for identifying the status of implementation of Directive 2014/41/EU in the EU member states and the obstacles that hinder faster adoption and take off.